There are a number of good reasons to start your plants from seed. Cost is certainly one of them, but choice could be the most important. Whether it is a particular tomato variety or color combo of annuals, even a certain perennial you are seeking, some times growing them from seed is the only way to get them. 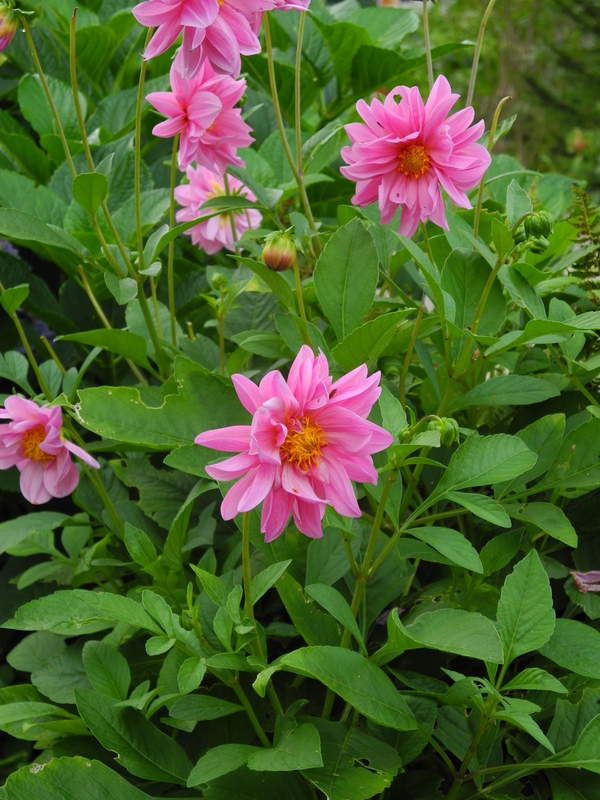 Take dahlias for instance. Not many realize that they can be grown from seed. (order online from Renee’s Garden Seeds) Gardeners in the Deep South can start seeds in the fall and have blooms by summer. 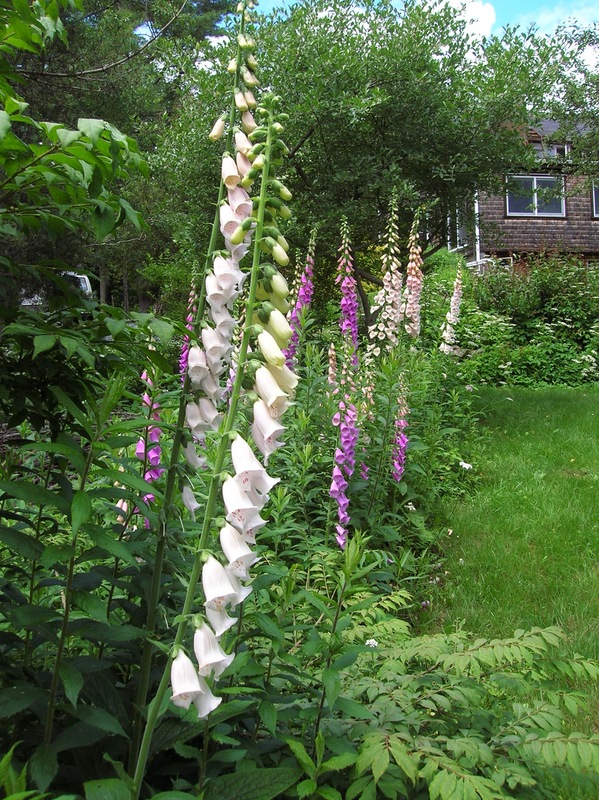 The same goes for hollyhocks and foxgloves. Biennials such as hollyhocks and foxgloves can be grown in the Deep South by starting seeds in the fall for blooms come late spring. Biennials, as you may know, in moderate climates produce foliage their first summer and bloom their second. Then they set seed and die. However in the Deep South these plants cannot be grown by sowing seeds in the spring as is the traditional method because they often do not survive the heat of summer to return for a second summer. By starting the seeds in the fall, the plants have enough time to grow and then they’re “tricked” into thinking that is their first growing season. They’ll go dormant in the winter and then grow in the spring to bloom late in that season. No need to worry about cold protection for these plants in the winter as the cold is exactly what they need to flower. Oooh, look what showed up this morning in the sunny border — a powder-puff of pale blue. 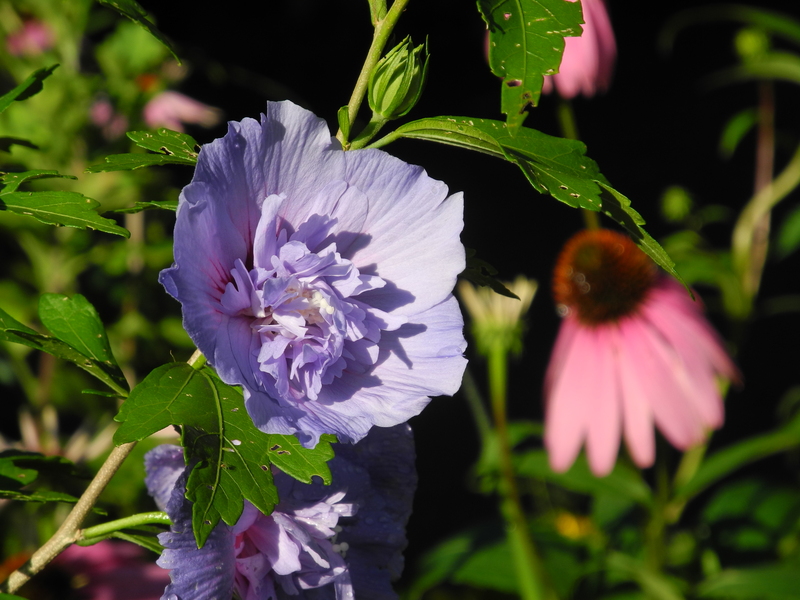 It’s early August and the Rose of Sharon (H. syriancus) is coming into its own. This heavenly example, ‘Blue Chiffon,’ is just one in the Proven Winners line of ColorChoice flowering shrubs. It blooms just in time to fill in the late-summer gaps and contrast with my purple cone flowers and perennial lobelia. 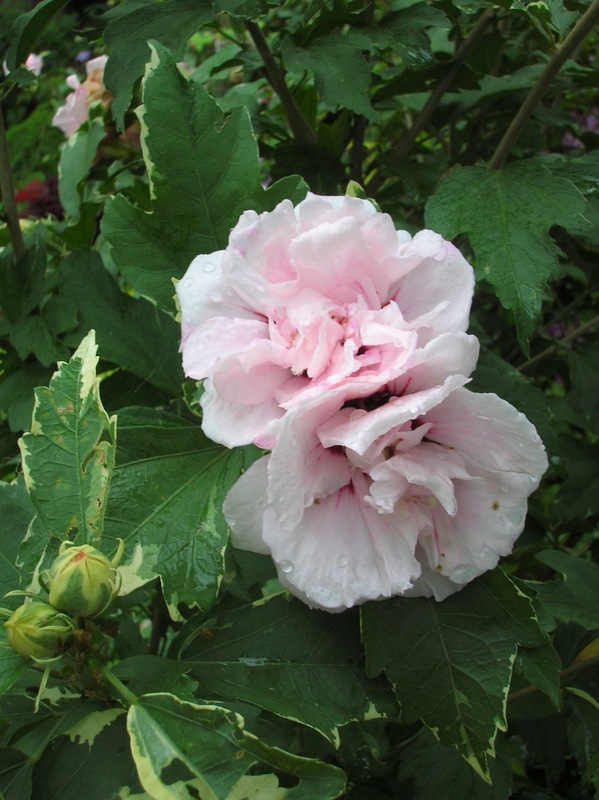 These old-fashioned flowering shrubs have been around forever, but your grandmother’s Rose of Sharon never looked like these new cuties that come in a selection of pastel colors in doubles and big-blooming singles. 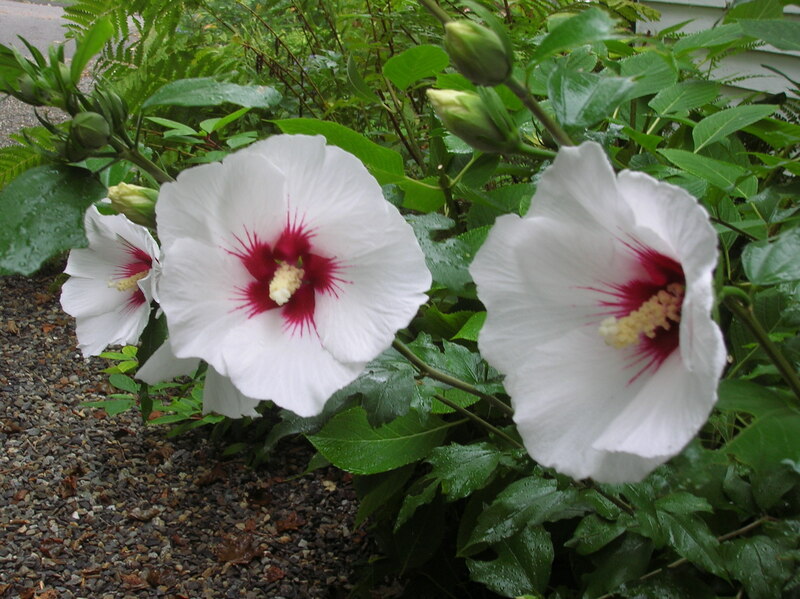 Rose of Sharon is the epitome of a low-care, hardy flowering shrub that is cold hardy to Zone 5. I like to keep my selections pruned to about four feet tall, but most can grow to eight to 12 feet tall if left to their own devices. And yes indeed, they are productive partners in the perennial beds, adding structure and shiny green foliage even when not in bloom. Moist, well-drained soil and full sun are required for best bloom production. A quick pruning to shape in the spring is basically all they require. And oh, the blooms! One selection, ‘Lil’ Kim,’ (right) grows to a petite three to four feet tall with an explosion of crimson-centered white single blooms. Another favorite of mine is the handsome ‘Sugar Tip,’ (left) with a froth of double pale pink blossoms. But wait! There’s more to ‘Sugar Tip’ than just flowers. 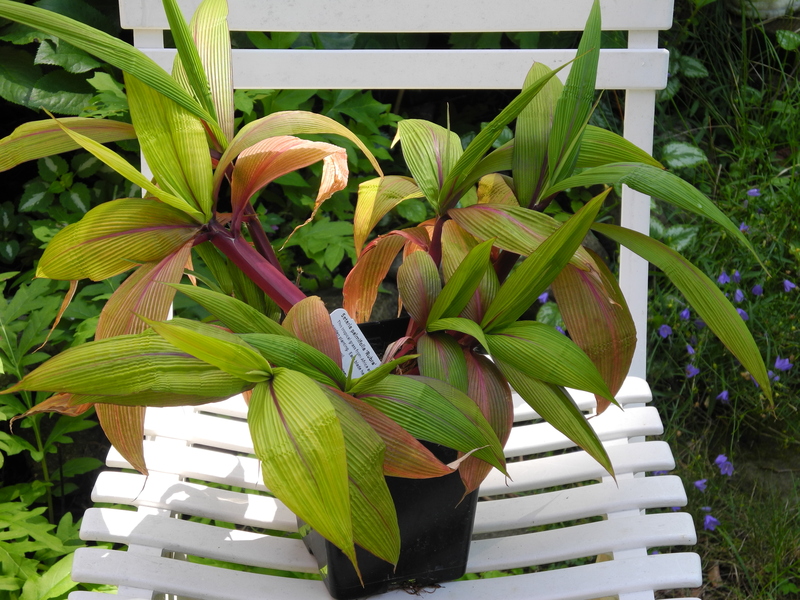 This hardy selection contributes even when not in bloom with attractive blue-green and cream variegated foliage. All these stunning varieties are seedless. Visited my favorite garden center today to buy a clematis, which I did. Two actually. But then as I was ready to check out I screeched to a halt and did an abrupt about-turn. There on a table of tender offerings was one of the most spectacular plants I’d encountered in a many a moon — palm grass (Setaria palmifolia ‘Rubra’). Though I initially resisted because there I was already one plant over my intended “limit.” But I knew I wasn’t going to leave that nursery without that stunning plant. I mean, just look at it! Those krinkled leaves, those ruby-throated blades, who could resist such a unique plant? This tropical gem is from South Africa, home to some of the most amazing plants on the face of the planet. The tag that came in the pot says it grows to three to four feet high and prefers partial shade and a moist, well-drained environment. 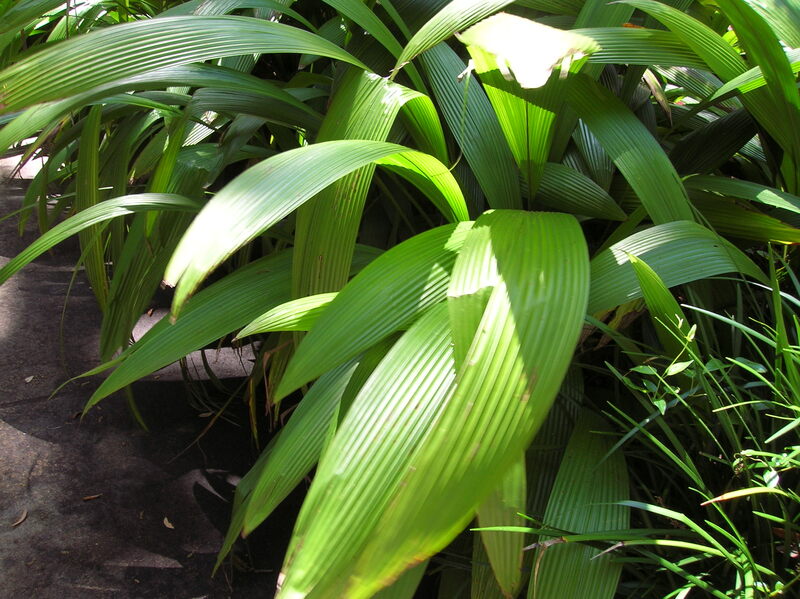 Research showed that palm grass is native to a lot of places, including India and New Zealand where it is considered invasive. I’ll keep that in mind. My specimen is only about six inches tall right now, and noticing the size projection triggered a memory of a visit to Leu Gardens in Orlando, FL. A border of a similar plant caught my attention there, though it was not labelled and I never found what it was. Those leaves were all green but of a similar shape and form. Now I suspect it is another variety of palm grass, and gives me a good idea of its cold tolerance, which I discovered was fine for Zones 9-10. It also can come indoors during the winter in colder climates. What a find!